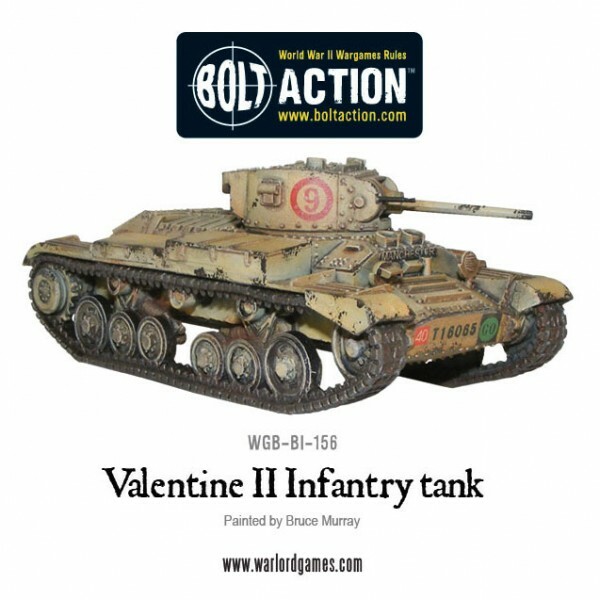 Warlord Games knows it's still just under a month away, but Valentine's Day is here as far as they're concerned, and as far as your troops for Bolt Action should be concerned. They've released their Valentine II Infantry Tank over in their webshop. British and Soviet forces receive reinforcements this week, with the arrival of this resin Valentine II infantry tank. The Valentine was designed as a private venture by the famed vehicle designer Sir John Carden (hence the lack of the Army ‘A’ number). Although the British government chose to go with the A12 Matilda II as it’s main infantry tank the Valentine would also be a useful addition to the arsenal of the British Commonwealth as it utilised many of the existing parts of the A9 and A10 cruiser tanks along with drastically increased it’s armour thickness. This made it a cost effective solution to Britain’s need for more infantry tanks.